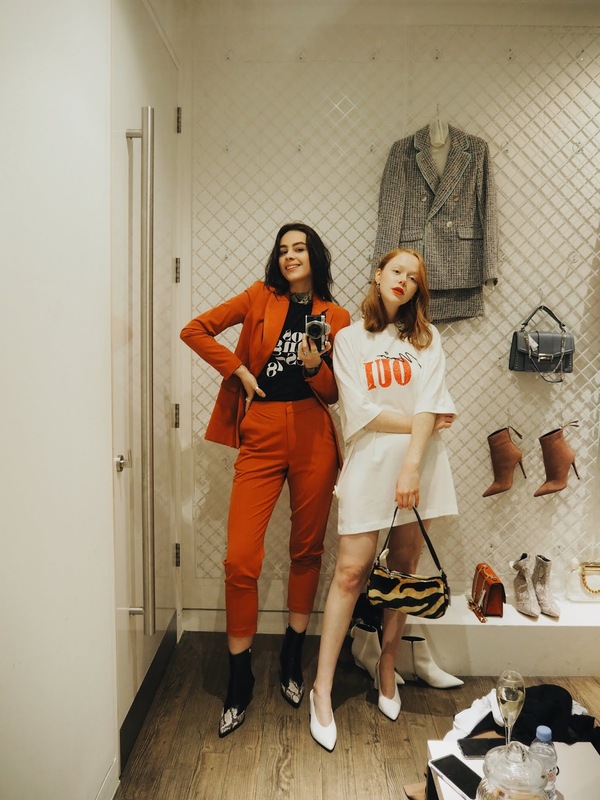 The other day, the lovely CJ and I headed down to Liverpool to check out all that is 'new in' at Topshop right now. 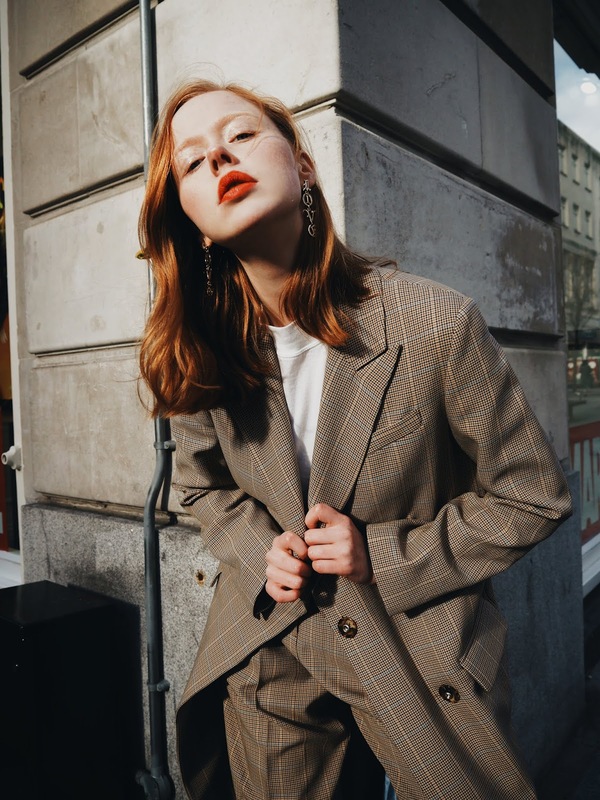 We were styled up by the fabulous Amelia Marshall, and got to drink prosecco and eat sweets whilst in the process - what a dream, huh? The first look I tried on was love at first sight. I knew as soon as Amelia pointed it out to us that it was probably the outfit I'd be heading home with, and well, I wasn't wrong. 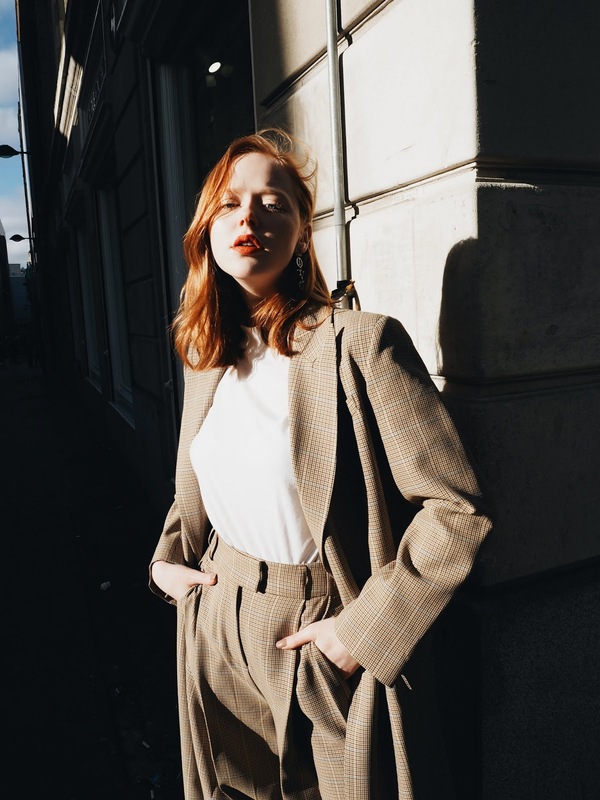 This amazing suit co-ord is the perfect 'Girl Boss' outfit. Perfect to style up with a pair of classy white heels and a red lip, but also great for meetings in the city paired with white trainers and a basic tote. It was an outfit I instantly felt powerful in and I LOVED it. The next look was a little more on the casual side. 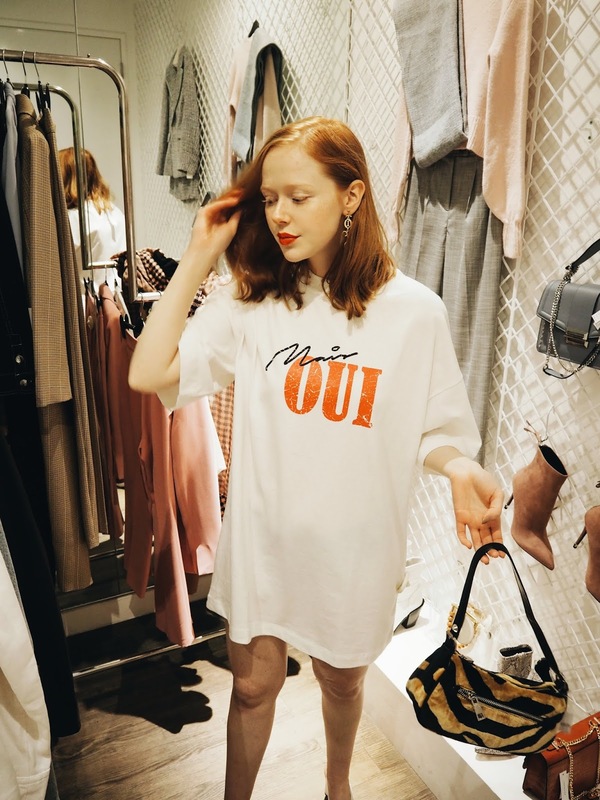 I love oversized pieces, and particularly oversized tees. 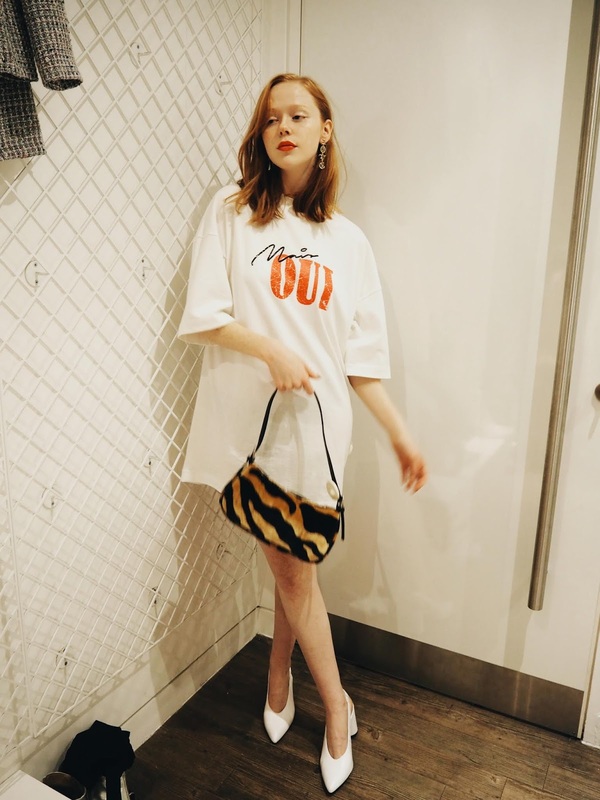 I loved how I styled this with the white heels again and this adorable tiger print bag (something I would have loved to have got too, but I carry too much crap around with me lol). I also think this would be great paired with denim jeans and some sassy red boots too though. Last of all, I tried on this really cool with this cute denim skirt and snake print boots. I wasn't 100% on this look but absolutely love the shirt and boots on their own. The cord feel to the shirt was really nice, just adds a little something-something to your regular shirt, and you can't go wrong with snake print boots, am I right? The skirt was lovely too, however I'd definitely say size up as I found the sizing of Topshop denim to come up pretty small. 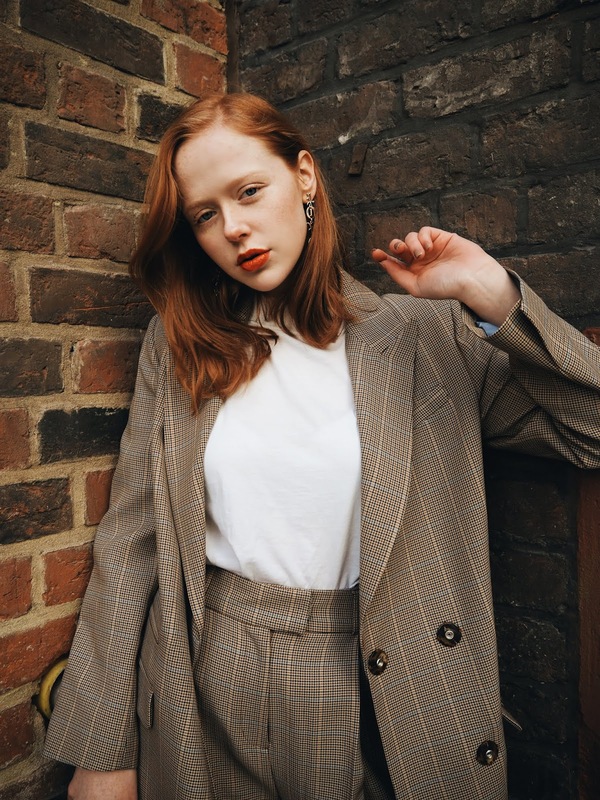 I'm so glad I took the suit home - it was just the outfit I needed in my wardrobe - it's something that gives me the feeling I can take on the world and takes away from the stereotypical feminine vibe of a lot of my looks. 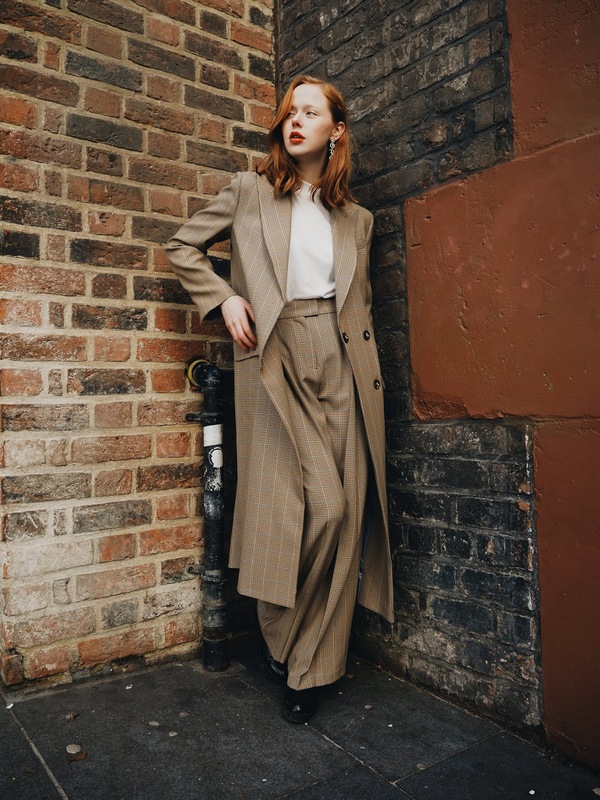 I find that I can often style myself to try and hide away, especially when I've not been feeling myself, but walking home through the streets of Liverpool dressed in my new 'Girl Boss' ensemble made me feel on top of the world. You guys have been loving it over on my Instagram too! Let me know what you favourite look here is and make sure you head to Topshop Liverpool and ask for Amelia for some great styling advice!